An industrial revolution is unfolding under the seas. Rapid progress in the development of robotics, AI, low-cost sensors, satellite systems, big data and genetics are opening up whole new sectors of ocean use and research. Some of these disruptive marine technologies could mean a cleaner and safer future for our oceans. Others could themselves represent new challenges for ocean health. The following 12 emerging ocean technologies are changing the way we harvest food, energy, minerals and data from our seas. You’ve heard of driverless cars — soon there may be skipperless ships. Ocean shipping is a $380 billion dollar industry. Like traffic on land, ocean traffic is a major source of pollution, can introduce invasive species, and even causes ocean road-kills. For example, over 200 whales were struck by ships in the past decade. 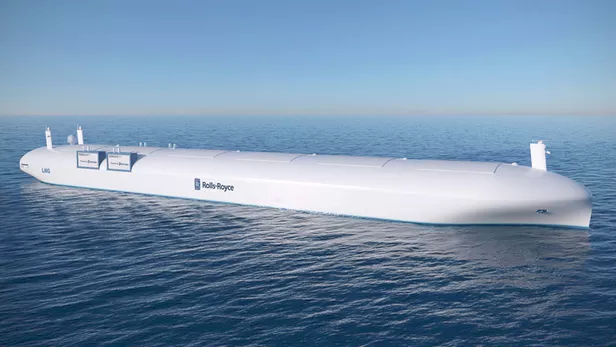 Companies like Rolls Royce envision autonomous shipping as a way to make the future of the industry more efficient, clean and cost-effective. Skipperless cargo ships can increase efficiency and reduce emissions by eliminating the need for accommodation for crew, but will require integration of existing sensor technology with improved decision-making algorithms. SCUBA divers working at extreme depths often have less than 15 minutes to complete complicated tasks, and they submit their bodies to 10 times normal pressure. 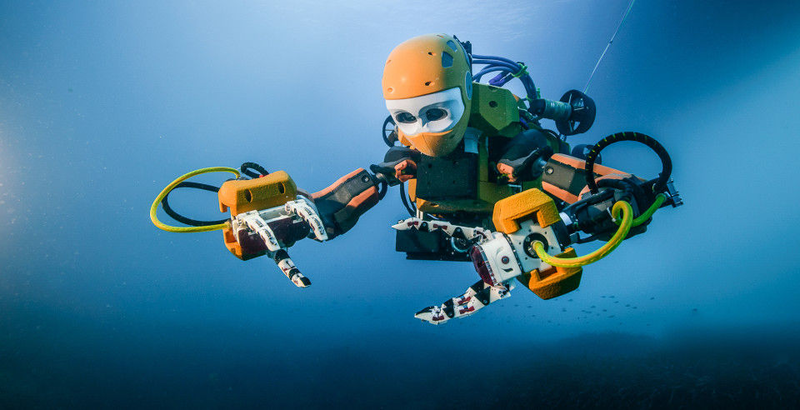 To overcome these challenges, a Stanford robotics team designed Ocean One: a humanoid underwater robot dexterous enough to handle archaeological artifacts that employs force sensors to replicate a sense of touch for its pilot. Highly skilled humanoid robots may soon replace human divers in carrying out deep or dangerous ocean research and engineering tasks. Augmented and virtual reality technologies are becoming mainstream and are poised for enormous growth. The marine sector is no exception. 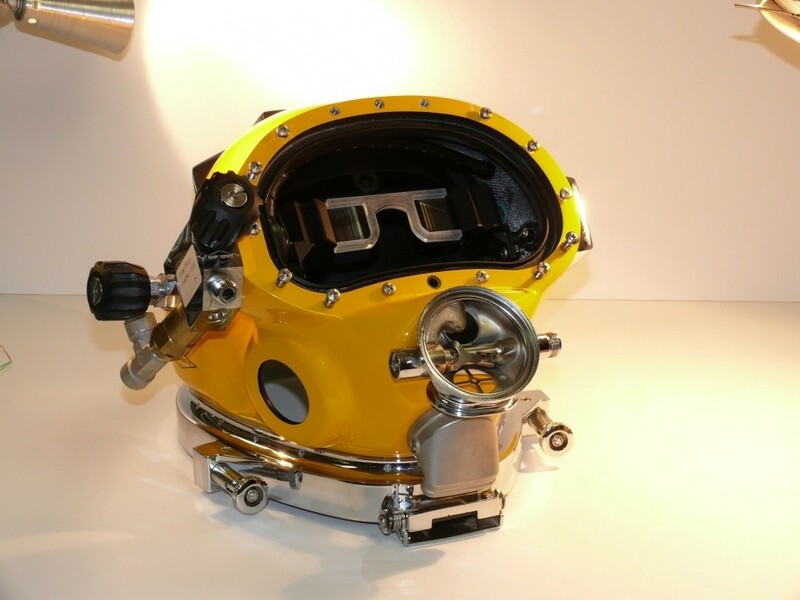 US navy engineers have designed augmented vision displays for their divers — a kind of waterproof, supercharged version of Google Glass. This new tech allows commercial divers and search and rescue teams to complete complex tasks with visibility near zero, and integrates data feeds from sonar sensors and intel from surface support teams. The year 2014 was the first in which the world ate more fish from farms than the wild. Explosive growth in underwater farming has been facilitated by the development of new aquaculture tech. 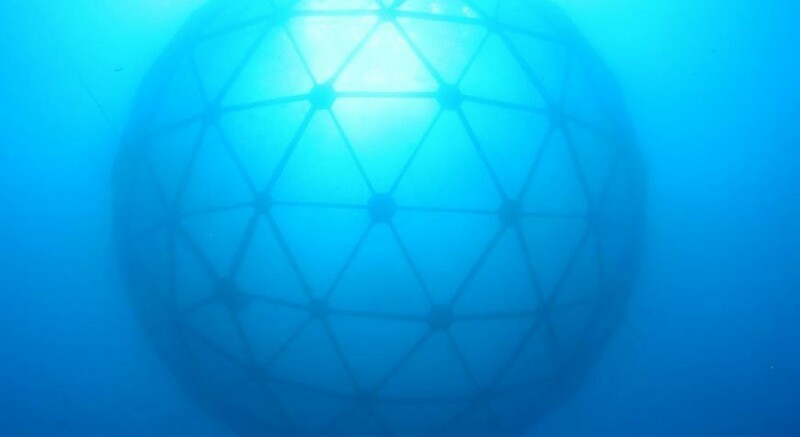 Submerged “aquapod” cages, for example, have been deployed in Hawaii, Mexico, and Panama. Innovations like this have moved aquaculture further offshore, which helps mitigate problems of pollution and disease that can plague coastal fish farms. Over 95% of internet traffic is transmitted via undersea cables. Soon, data may not only be sent, but also stored underwater. High energy costs of data centres (up to 3% of global energy use) have driven their relocation to places like Iceland, where cold climates increase cooling efficiency. Meanwhile, about 40% of people on the planet live in coastal cities. 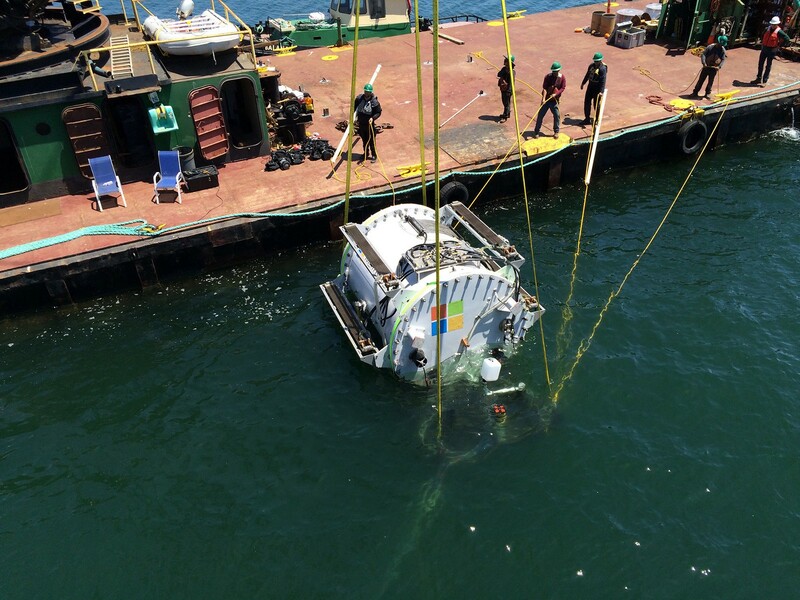 To simultaneously cope with high real estate costs in these oceanfront growth centres, reduce latency, and overcome the typically high expense of cooling data centers, Microsoft successfully tested a prototype underwater data centre off the coast of California last year. 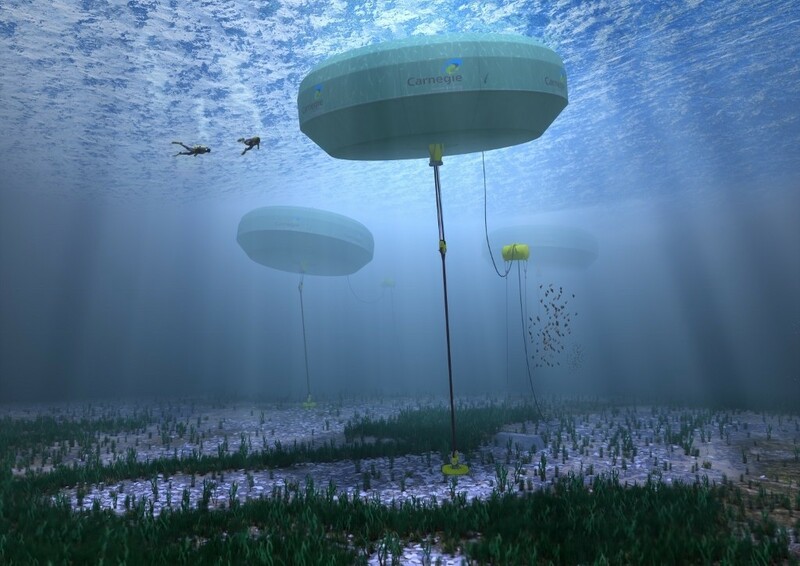 Next-generation underwater cloud pods may be hybridized with their own ocean energy-generating power plants. The ocean is an enormous storehouse of energy. Wave energy alone is estimated to have the technical potential of 11,400 terawatt-hours/year (with sustainable output equivalent to over 400 small nuclear power plants). Technological innovation is opening up new possibilities for plugging into the power of waves and tides. A commercial project in Australia, for example, produces both electricity and zero-emission desalinated water. The next hurdles are scaling up and making ocean energy harvest cost-efficient. 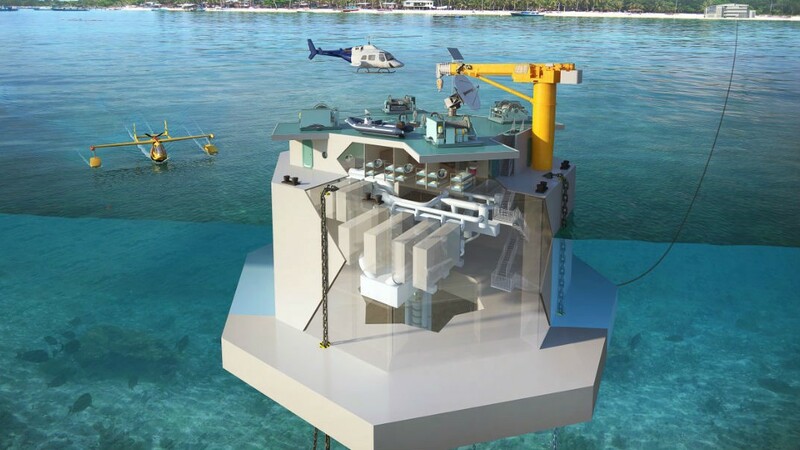 Ocean thermal energy conversion technology, which exploits the temperature difference between shallow tropical waters and the deep sea to generate electricity, was successfully implemented in Hawaii last year at its largest scale yet. Lockheed Martin is now designing a plant with 100 times greater capacity. Drawing cold water in large volumes up from depths of over 1 kilometre requires large flexible pipelines made with new composite materials and manufacturing techniques. Portions of the seafloor are rich in rare and precious metals like gold, platinum and cobalt. 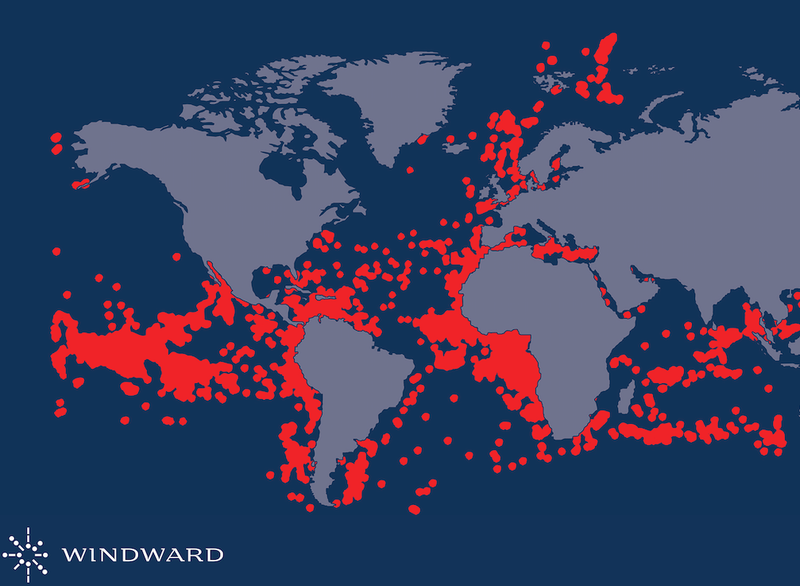 These marine mineral resources have, up until now, lain mostly out of reach. 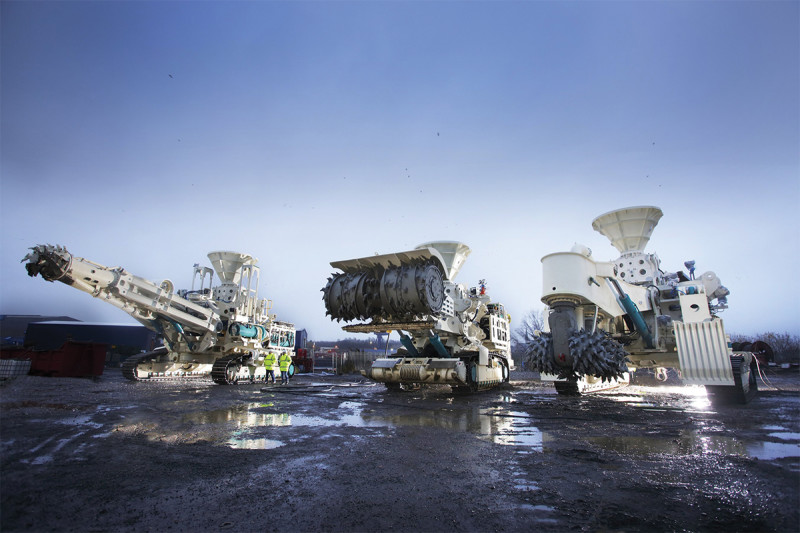 New 300 tonne waterproof mining machines were recently developed that can now travel to some of the deepest parts of the sea to mine these metals. Over a million square kilometres of ocean have been gazetted as mining claims in the Pacific, Atlantic, and Indian oceans, and an ocean gold rush may open up as early as 2018. Mining the seafloor without destroying the fragile ecosystems and ancient species often co-located with these deep sea mineral resources remains an unsolved challenge. Most large oceangoing ships are required to carry safety sensors that transmit their location through open channels to satellites and other ships. Several emerging firms have developed sophisticated algorithms to process this mass influx of ocean big data into usable patterns that detect illegal fishing, promote maritime security, and help build intelligent zoning plans that better balance the needs of fishermen, marine transport and ocean conservation. In addition, new streams of imagery from nanosatellite constellations can be analysed to monitor habitat changes in near-real time. The oceans hold vast promise for novel life-saving medications such as cancer treatments and antibiotics. The search for marine-derived pharmaceuticals is increasing in momentum. 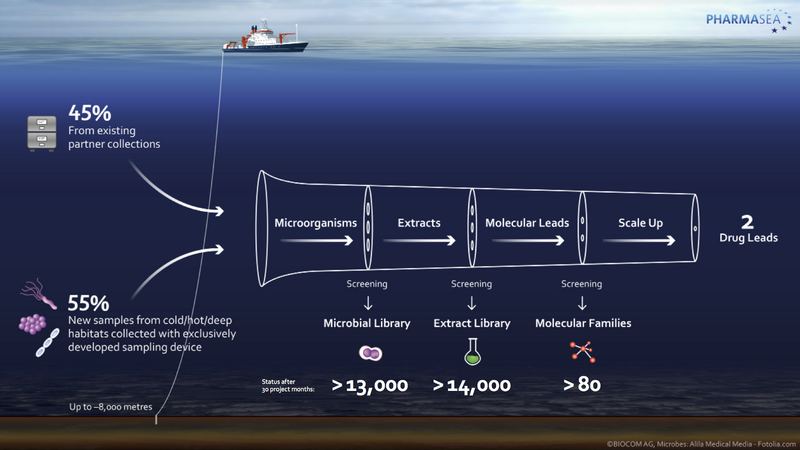 The European Union, for example, funded a consortium called PharmaSea to collect and screen biological samples using deep sea sampling equipment, genome scanning, chemical informatics and data-mining. The proliferation of low-cost, connected sensors is allowing us to monitor coastlines in ways never possible before. This matters in an ocean that is rapidly warming and becoming more acidic as a result of climate change. Surfboard-embedded sensors could crowd-source data on temperature, salinity and pH similar to the way traffic data is being sourced from drivers’ smartphones. To protect the safety of beachgoers, sonar imaging sensors are being developed in Australia to detect sharks close to shore and push out real-time alerts to mobile devices. The field of ocean robotics has begun borrowing blue prints from the world’s best engineering firm: Mother Nature. 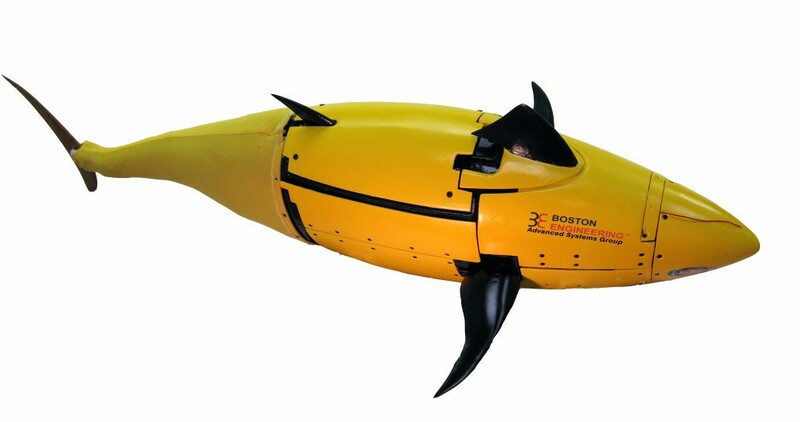 Robo-tuna cruise the ocean on surveillance missions; sea snake-inspired marine robots inspect pipes on offshore oil rigs; 1,400 pound robotic crabs collect new data on the seafloor; and robo-jellyfish are under development to carry out environmental monitoring. That ocean species are models for ocean problem-solving is no surprise given that these animals are the result of millions of years of trial and error.